As well we won Division D in the Metro League, several club members were selected in their age groups for the Australian Team that contested the ANZ challenge. Our website was extensively upgraded in 2011. We also now have some bright new banners to display at our events. We even won the Golden table award at the OANSW presentation night. Our major event of the year was the State League at Wattle Ridge on 3rd April set by Gordon Wilson, organised by Rob Spry with Peter Meyer of SHOO the controller. This is an excellent map not too far from Sydney which should do us for many years to come. We have now used this map for 4 consecutive years, but it will be rested in 2012 while our major event goes west to the excellent Gumble maps. The Metro League at Pennant Hills on 24th July was set by Joel Putnam, organised by Wayne Pepper and controlled by Graham Galbraith. At this event our new banners were rolled out. They have been extensively used ever since. It looked like the 2010 NOSH might be the last one run until Darren Slattery and Joel Putnam put up their hand and organised the 2011 event. I know from experience it is a major undertaking to organise this event, so many thanks to Darren and Joel for the hard work they put in to make this event a success. We hadn’t used Lake Parramatta for several years, but the event on 18th Sept organised by Marina and Fedor showed what an excellent area in the middle of suburbia it is. The Junior League final and a CATI were held on the day. We held 6 Summer Series events in 2011. 3 in the first half of the year and 3 in the current 2011-12 season. These events have large turnouts, so the club relies on helpers to staff the registration, start finish and control collection. In every case we’ve had willing bands of helpers to ease the load on the organisers. Last season’s organisers were Gordon Wilson and Judi Hay at Fiddens Wharf on 2nd Feb, Rob Spry at Clontarf on 2nd March and Steve Flick at Five Dock Bay on 30th March. In the current season but in 2011, the organisers were Terry Bluett at Burnt Bridge Creek on 19th October, Marina Iskhakova on 14th December at Chinamans Beach and Phil Harding at Clifton Gardens on 21st December. We have 2 more events to go this season and one already completed in one of the wettest events I’ve ever been to at Pottery Green recently. A Southern Summer Series was started in 2011, Bennelong organised one event in this series at Clovelly on 15th November set by Joel Putnam. Bennelong organised 2 events in the 2011 Sprint Series. The first at Manly Dam on 2nd Jan organised by Terry Bluett and at Pennant Hills Park on 21st February organised by Wayne Pepper. 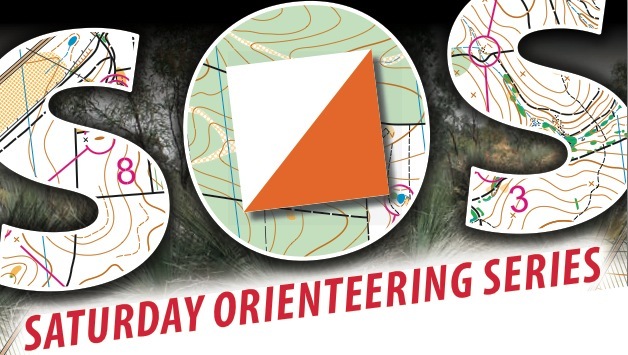 I can recommend these events for any inexperienced members of the club, as a way of improving their orienteering and progressing to bush orienteering where the navigation challenges are more difficult than experienced in the Summer Series. We entered 3 teams in Metro League in 2011, in Divisions 1, 3 and 4. Our Div 1 team struggled this year after being promoted after being premiers in Division 2 in 2010 and will be relegated to Division 2 in 2012. Our Division 3 team finished in the middle of the pack while our Division 4 team was victorious taking out the competition and being promoted to Division 3 in 2012. Congratulations to Rod Parkin,Adam Halmy, Bethany Halmy, Bruce Dawkins, Frank Assenza, Judi Hay and Peter Thomason our division 4 premiers. Three of our club members were selected in the Australian Team to represent Australia in the Australia-New Zealand Challenge. Eric Morris, Judi Hay and Steve Flick all represented their age groups in the successful Australian Challenge team. As well as the Australia-NZ challenge, Australian and Oceania Championships were held. There were plenty of other excellent performances by our members at events throughout the year but space does not allow me to acknowledge them. Well done all club members who competed in any events. We are still using 16-18 Cambridge St, Epping as storage for our equipment. We are paying full commercial rates.The club can afford the storage costs but we are would be very happy to take advantage of a cheaper option if a suitable storage place became available. The club purchased 4 new banners during the year, one for the start, one for the finish and 2 general club banners. They have been used extensively since their purchase and are a great asset for the club. Also purchased is an inverter/battery. This has enabled us to run a computer and splits printer at our events without needing to call on the association’s generator, again a worthwhile addition for the club. We are in the process of purchasing a download unit to go with the club computer, once we have this we will not need to rely on the association’s computers for our events. We’ve also had a new newsletter editor this year, Many thanks to Marina Iskhakova for the much improved newsletter. During the year there has been an extensive upgrade of the Pennant Hills map as well as a 1:5000 extract of the most suitable area for sprint events. There is a new map which extends along the coast from Bondi to Coogee, this map was used for the southern Sydney Summer Series. We have had a rise in membership numbers in 2011 since last AGM. Welcome to Stephanie Allen, the McGhee family, the Povah family, Chris Cunningham and Pierre Francois. Last year I acknowledged one of our oldest members in the President’s Award. This year I’d like to acknowledge one of our newest members. This year my award goes to Darren Slattery. Darren has only been a member for 1 year but already has made a tremendous positive impact on the club. Darren took on the job of webmaster in 2011. Darren arranged to tranfer our account to http://www.bennelongnorthside.com.au/ and has also put us on Facebook and Twitter. He updates the site regularly and has arranged things like Routegadget. If you need anything to go on the website Darren updates promptly. Darren along with Joel Putnam saved the Great NOSH Footrace. It looked like the race might end in 2010 but Darren and Joel agreed to take it on. They did a good job with what is a tough organisational effort. Darren also organised the recent Pottery Green Summer Series event. This was one of the wettest events I’ve ever experienced, again Darren was an innovator with his map border and control descriptions. Darren was also instrumental in obtaining our new banners. These have been a great asset for the club. The cost of these banners was very economical. Darren also arranged the purchase of our inverter/battery. In competition Darren has been a big improver. Darren has been to a few State League events and managed to come 2nd in M21AS in the NSW Middle Distance Championships and 3rd in the NSW Long Championships. Darren has also been improving his scores in the SummerSeries recently. Well done Darren, your work within the club has been an inspiration to all of us.